By Katia Hetter, CNN — As I flew Delta Air Lines from Chicago to Atlanta on Thursday in coach, I spent a few minutes guessing if the tall man in front of me would recline his seat. I wanted to work, but if he reclined while I was writing, my laptop might not survive it. As airplanes pack travelers into smaller seats with reduced personal space, powering up that laptop can be a risky bet: Will the person in front of you recline their seat? And if they do, will they do it so quickly that your laptop suffers? Starting Saturday, April 13, Delta will retrofit its fleet of 62 Airbus A320 jets to reduce the recline of the coach seats from 4 inches (10cm) to 2 inches (5cm) and the recline of first class seats from 5.5 inches (14cm) to 3.5 inches (9cm). 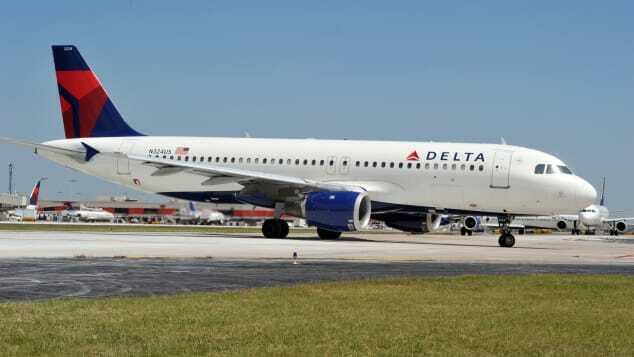 "Delta has no plans to add seats or reduce space between rows with this test. It's all about protecting customers' personal space and minimizing disruptions to multitasking in-flight." Frequent fliers are already appreciative. Really, they are. "Being a frequent business flier, my productivity just dies when the person in front of me drops their seat into my lap," aviation security consultant Jeff Price said. "With the narrow room the airlines give you for your legs, I can't even sit in the normal seats with my legs facing forward. I have to turn them sideways, and it's worse when the seat drops back." "Passengers are packed so tightly into planes these days that any invasion of our personal space is amplified, and seat recline is one of those trigger points that easily leads to disputes between passengers," he told CNN Travel. "One is just trying to relax and give themselves a bit of extra room while the person behind them is suddenly struggling with the feeling of the world closing in on them." READ THE FULL ARTICLE/VIEW VIDEO here from CNN.